London may be home to famously indulgent treats like afternoon tea and fish & chips, but the city also boasts plenty of deliciously healthy options, too. The next time you’re looking for a quick, nutritious bite, think hummus bowls, superfood salads, curry boxes, or sushi plates. 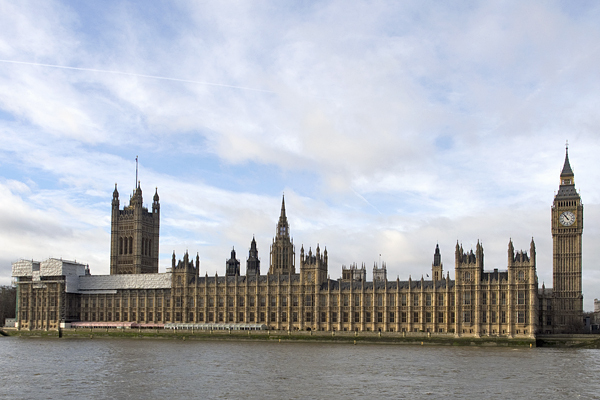 Here are five of our favorite spots for a healthy, filling gluten-free lunch in London. Fans of rich, creamy hummus, this is your place. 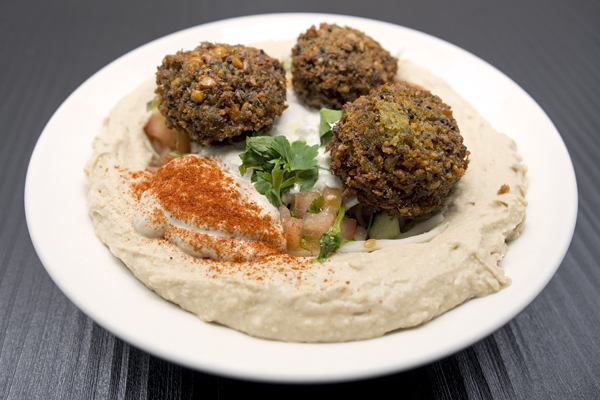 All of the main dishes at Hummus Bros come with a generous base of hummus topped with your choice of crispy-on-the-outside falafel, southwestern-style chicken, or smoky beef. Round out your meal with veggie-based sides like roasted eggplant or greek salad, or top everything with some feta or sun dried tomatoes. Replace the complimentary pita bread with gluten-free bread or tortilla chips, and you have the perfect gluten-free Levantine meal. Beyond Bread bakes our favorite gluten-free loaves in London, and this new bakery also has the absolute best gluten-free sandwich spread in the city. 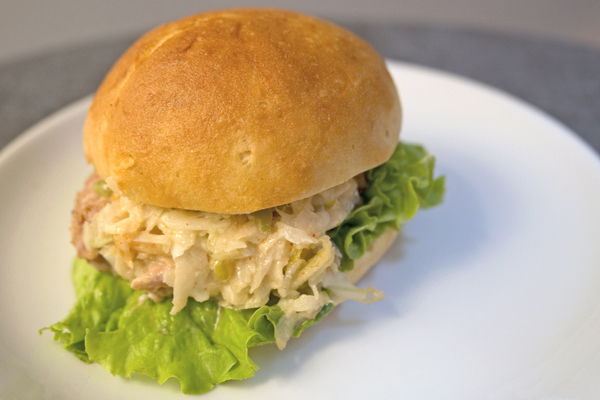 Choose from large baguettes or small rolls with tasty fixings like prosciutto & goat cheese, pulled pork, or wasabi tuna. Don’t forget a slice of cake or a muffin to sweeten your meal. 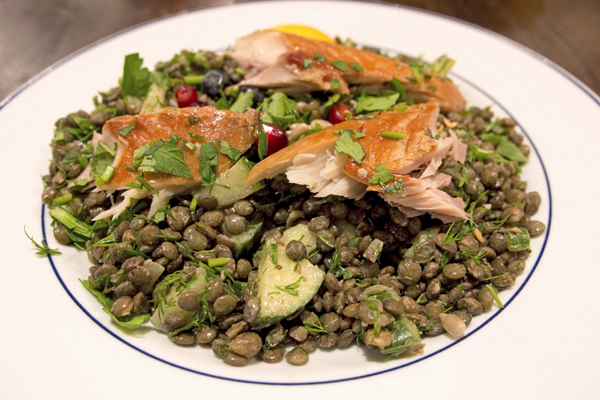 For a healthy gluten-free lunch in London, Leon is always top-notch choice in any corner of the city. With locations in trendy Spitalfields, bustling Regent Street, and skyscraper-friendly Canary Wharf, Leon has the lunch market covered. Choose from cool superfood salads with lentils and smoked fish or hot boxes with falafel or green curry. Leon’s pastry case has tons of tempting gluten-free treats, too. Take your pick of Pod’s nourishing hot and cold dishes at over 20 locations throughout London. The menu here is vast, with light lunches like detox boxes and heartier meals like Vietnamese pulled pork or Malaysian lemongrass chicken. Gluten-free options are clearly marked to make your choice a little easier. We loved the Salmon Detox Box, which includes a seaweed wrap, colorful kelp noodles, and luscious salmon tartare with a tamari dressing. 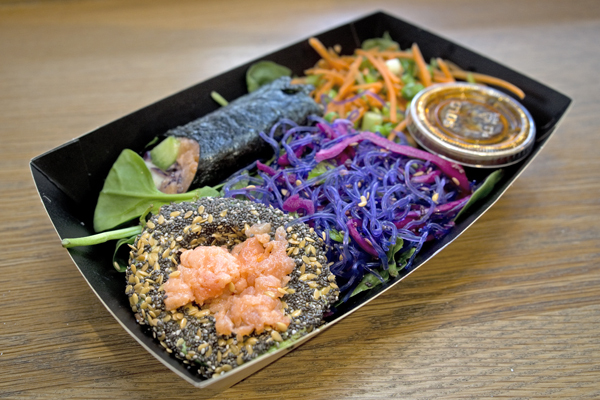 Whether you have a craving for sushi or something a little greener, Itsu makes lunch fast and easy. Many of the sushi rolls, sashimi platters, and Go Go pots are gluten-free—just be sure to skip the soy sauce packets. 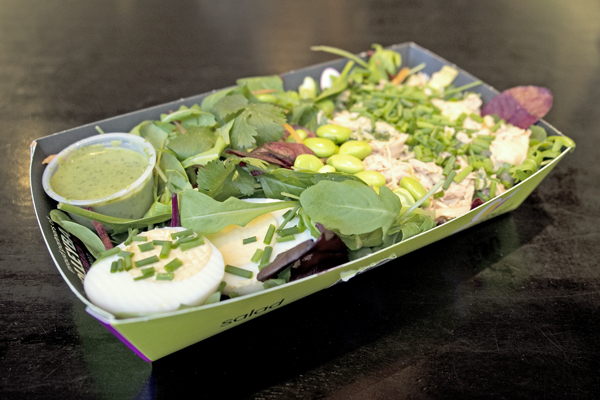 Get your greens and protein with one of Itsu’s low carb boxes, which include a salad base topped with chicken or fish and egg or avocado. Everything here is freshly made each day and packaged for a quick lunch on the go. Pro tip: stop by right before your favorite Itsu location closes in the evening, and you can also score a healthy dinner for a fraction of the cost. Where? You’ll find these lunch spots throughout London. Visit Hummus Bros in Soho at 88 Wardour Street, London W1F 0TH (+44 020 7734 1311). Visit Beyond Bread at 2 Charlotte Place, London W1T 1SB (+44 (0) 2076 367 055). Visit Leon at 3 Crispin Place, London E1 6DW (+44 020 7247 4369). Visit Pod at 5-7 Tottenham Street, London W1T 2AG (+44 020 7631 5386). Visit Itsu at 167 Piccadilly, London W1J 9EG (+44 020 7495 4048). Many of these spots have multiple locations, so you’re bound to find one that’s convenient.